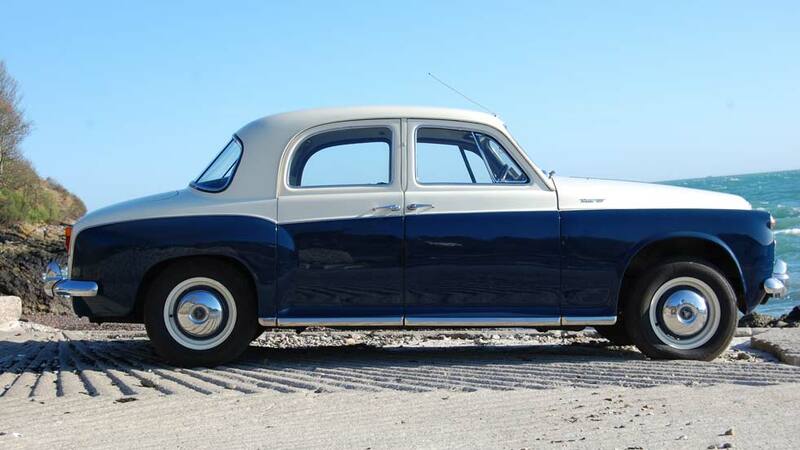 The Rover P4 100 was produced between1960 – 1962 and was fitted with a 2.6 litre straight six engine and it was claimed the car could reach 100 mph. 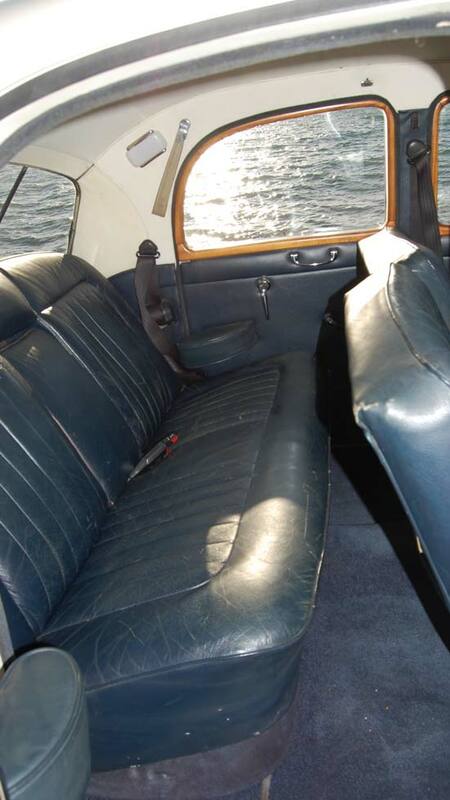 The interior was luxurious with wood and leather and a heater was fitted as standard. 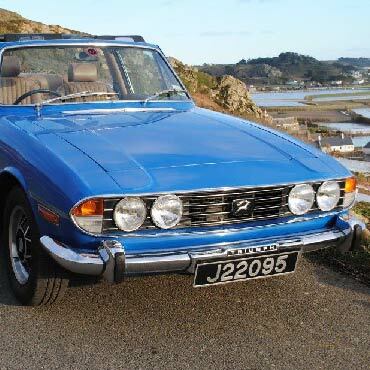 The 100 was fitted with servo-assisted Girling disc brakes at the front whilst keeping drum brakes at the rear and an overdrive on top gear only, (all quite advanced for the year). 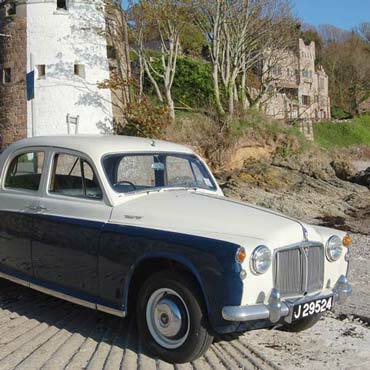 These cars are often called the “Aunty” Rover because they are so refined, sedate and appealed mostly to the middle class, (and your Aunt). 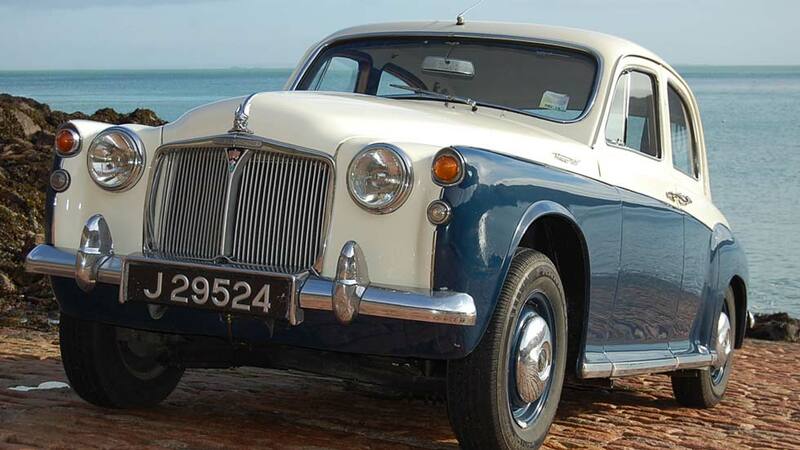 The ride is smooth, stately and dignified because this Rover is never in a hurry and once you get used to the sedate pace, this Aunty Rover will waft you effortlessly along Jersey’s highways and byways until you arrive at your chosen destination. 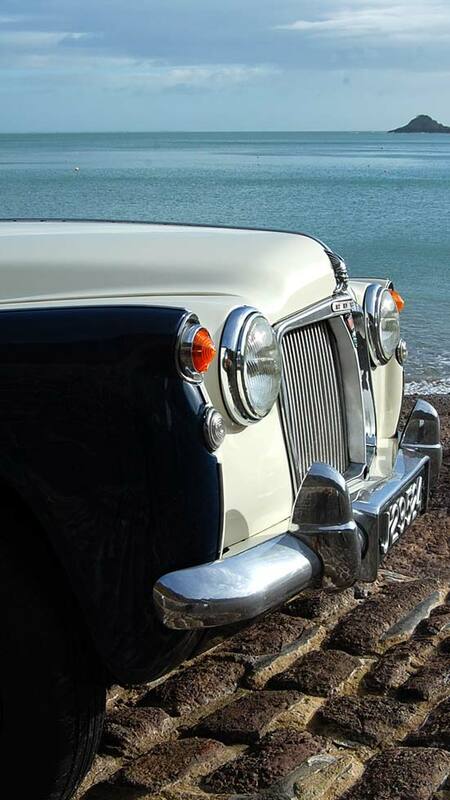 This Rover was owned and cherished by a local Hotelier for many years that maintained and restored the car regardless of cost. 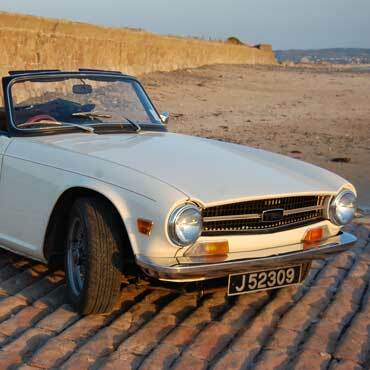 It was often seen parked up at the end of St Brelades bay, next to his hotel and is a well known car locally. 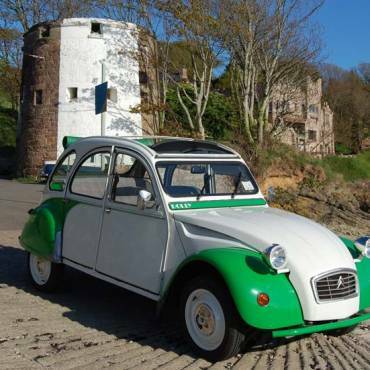 2625 cc developing 104 bhp. 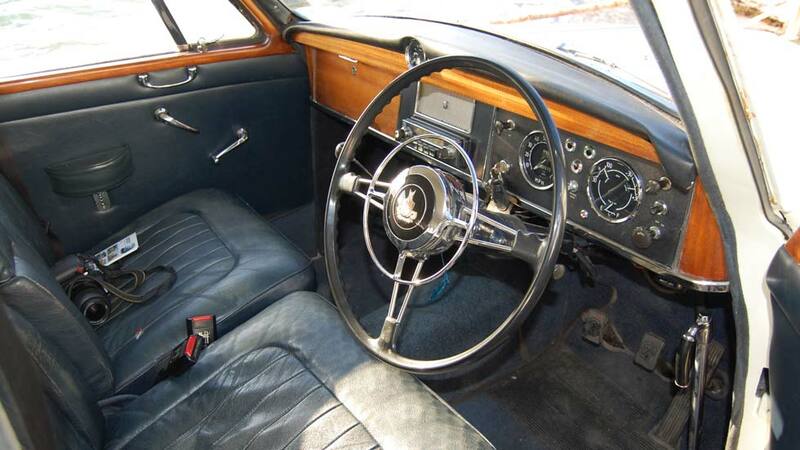 4 speed manual gear box with overdrive. Seat belts front and rear. Steering box resulting in quite heavy steering. Old English white / blue lower with blue leather. 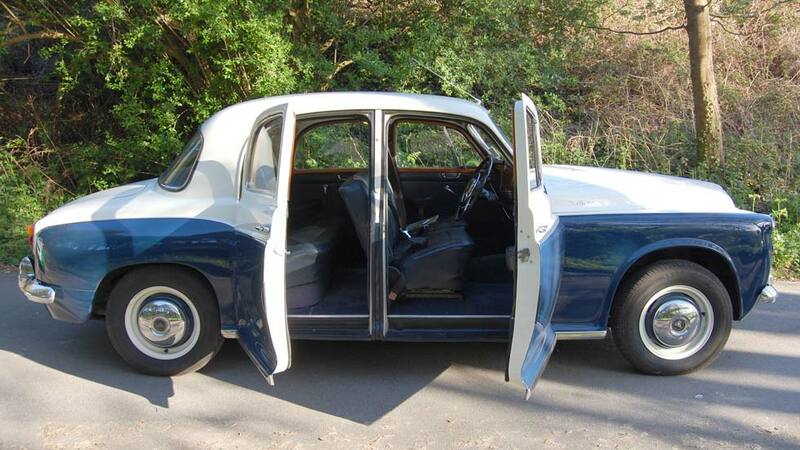 4 door saloon with rear hinged opening rear doors. Good sized cockpit and good sized boot. 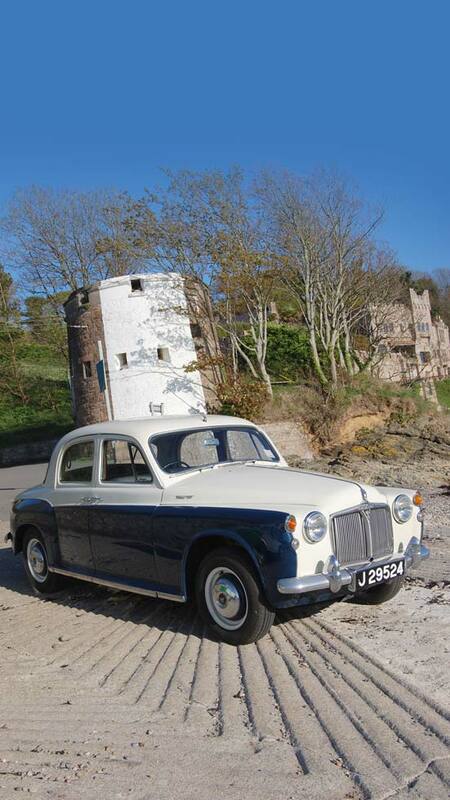 A sedate saloon of the early 60’s that is easy to drive bar the heavy steering. 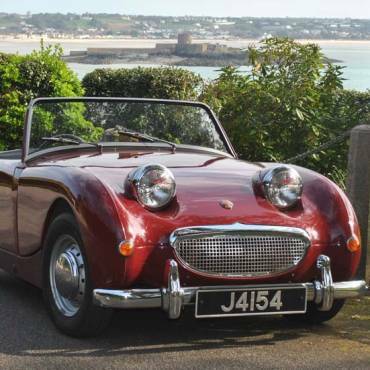 Please drive with care and remember Jersey speed limits of 15 mph, 20 mph, 30 mph and a maximum of 40 mph apply. Please refer to hire terms and conditions regarding mechanical damage.